ALERT: This week’s FREE Friday Noon Musicale, held from 12:15 to 1 p.m. in the Landmark Auditorium of the historic Frank Lloyd Wright-designed Meeting House of the First Unitarian Society of Madison, 900 University Bay Drive, features harpist Linda Warren and cellist Carol Wessler in the music of Harper Tasche and Laura Zaerr. 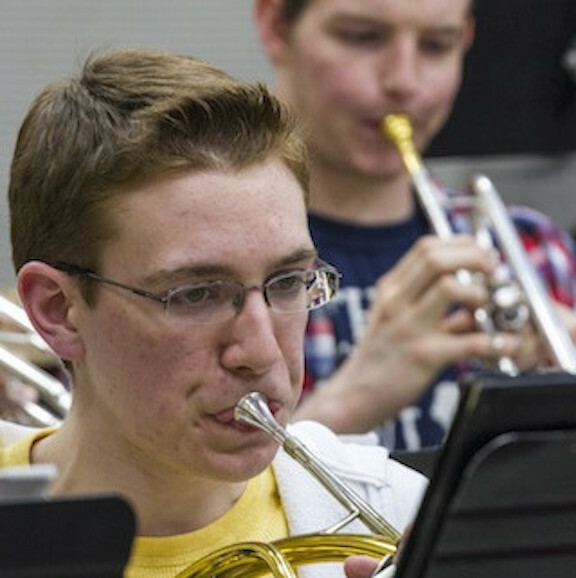 Two promising band and choral concerts are on tap this weekend at Edgewood College. Both will take place in the St. Joseph Chapel, 1000 Edgewood College Drive. 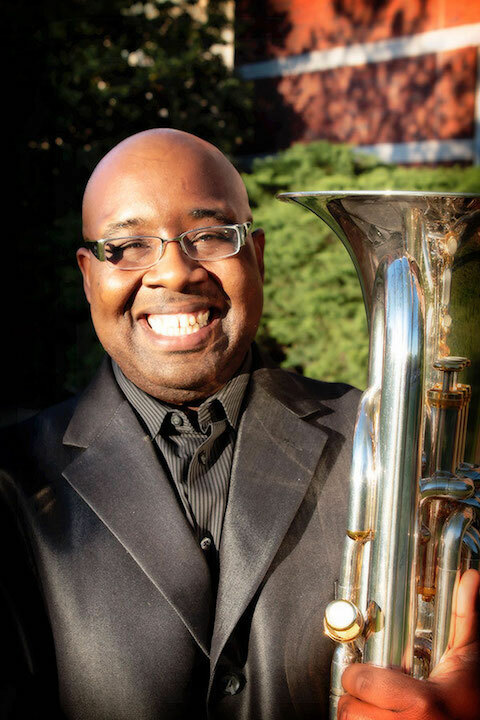 The Edgewood College Concert Band, under the direction of Walter Rich (below), will perform a benefit concert for Luke House on Friday at 7 p.m. Included on the program are Flourish for Wind Band by Ralph Vaughan Williams; “Serenity” by Norwegian composer Ola Gjeilo; “Chorale and Capriccio” by Caesar Giovanini; “Jerusalem” by Hubert Parry; “I’m Seventeen Come Sunday” by Percy Grainger; “Daybreak” by Carl Strommen and “Children of Gaia” by Robert Sheldon. 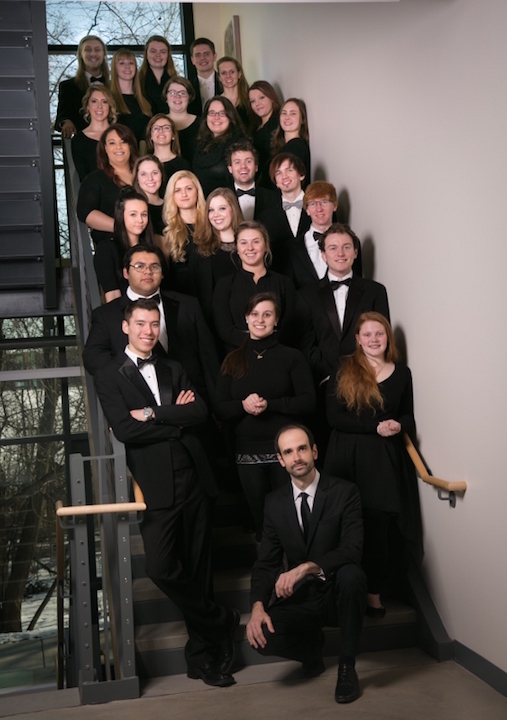 Two vocal ensembles will perform a concert at 2:30 p.m., Sunday in St. Joseph Chapel. Admission is FREE. 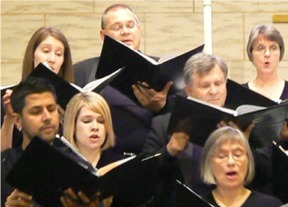 Featured will be the Chamber Singers (below), under the direction of Sergei Pavlov (center at the bottom of the stairs). The group has just returned from performances at the International Sacred Music Festival in Quito, Ecuador. 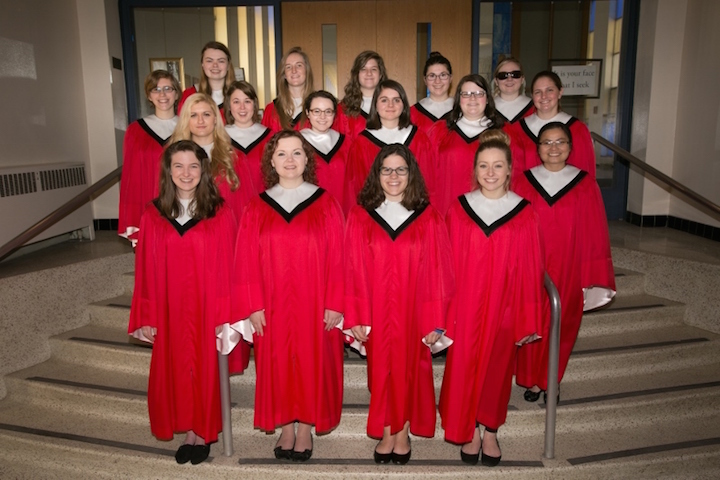 The Chamber Singers will perform excerpts from the Mass in F by Domenico Zipoli; “Usnijze mi, usnij” by Polish composer Henryk Gorecki; “Holy, Holy” from the Gospel Mass by Robert Ray; and a Victor Johnson arrangement of “Bonse Aba,” a traditional Zambian work. 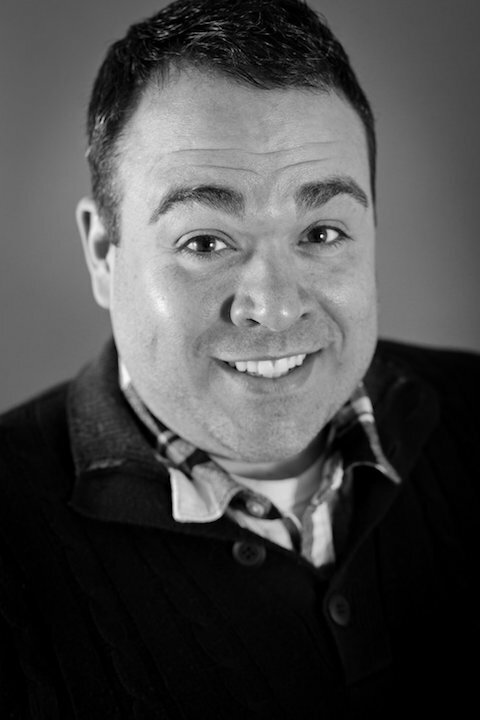 Todd Hammes, adjunct faculty member in the Music Department, will assist on percussion. It will be a busy week in Madison and especially at the University of Wisconsin-Madison School of Music. Here is a list to help you decide what you want to attend. 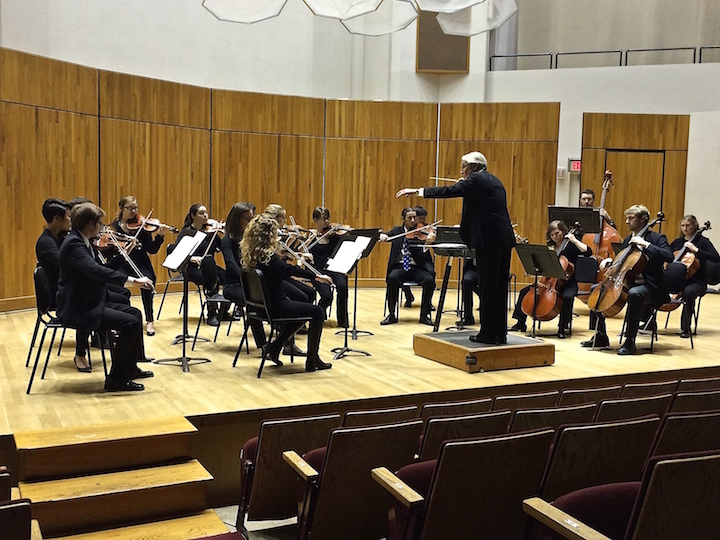 At 7:30 p.m. in Mills Hall, the UW-Madison Chamber Orchestra will give a FREE concert under its music director James Smith. 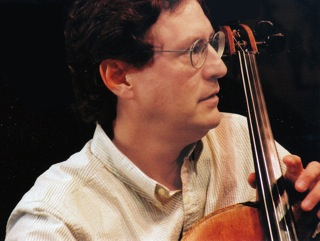 UW-Madison professor of chamber music and cellist Parry Karp, who performs in the Pro Arte Quartet, is a newly elected member of the Wisconsin Academy of Sciences, Arts and Letters. 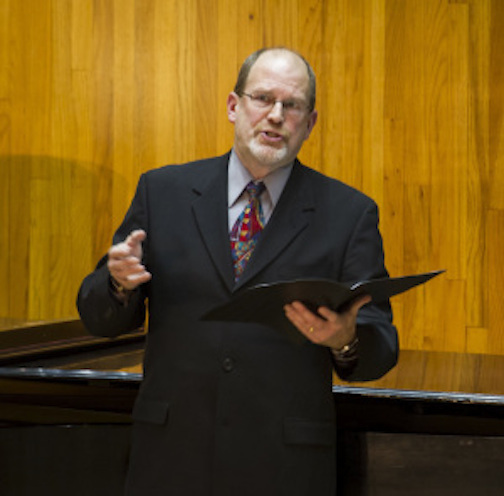 On Friday night at 8 p.m. he will give a FREE recital in Mills Hall. 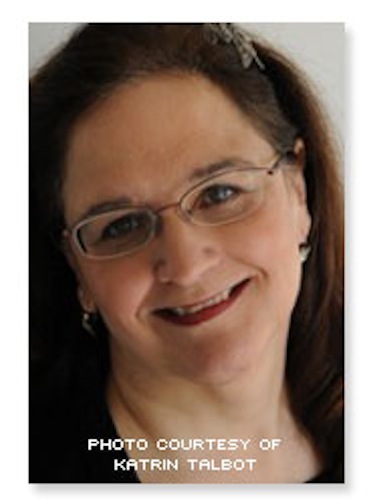 The program features: the Partita in A Minor for Solo Flute, BWV 1013 (1723?) by Johann Sebastian Bach, as transcribed for solo cello in C Minor by Parry Karp. Sonata No. 1 in D Major Piano and Violin, Op. 12 No. 1 (1798) by Ludwig van Beethoven, as transcribed for piano and cello by Parry Karp. 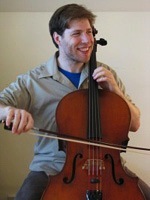 He will perform with pianist mother Frances Karp. “Märchenbilder” (Fairy Tales) for Piano and Viola, Op. 113 (1851) by Robert Schumann, as transcribed for piano and cello by Robert Hausmann. 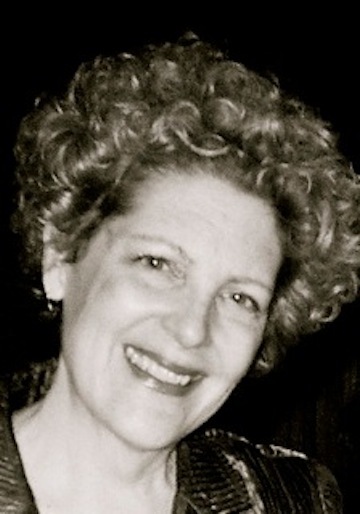 With pianist Frances Karp. Sonata in A Minor for Piano and Cello, D. 821, “Arpeggione,” (1824) by Franz Schubert. 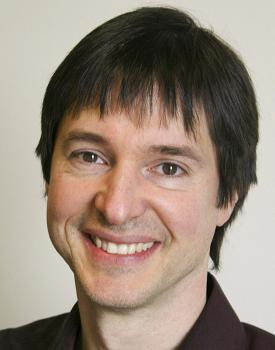 Pianist Bill Lutes will perform with Karp. Attention all pianists and especially those with smaller hands! All events are FREE and OPEN TO THE PUBLIC and take place in Morphy Recital Hall. TRY THE PIANO — 5:45-6:45 p.m. 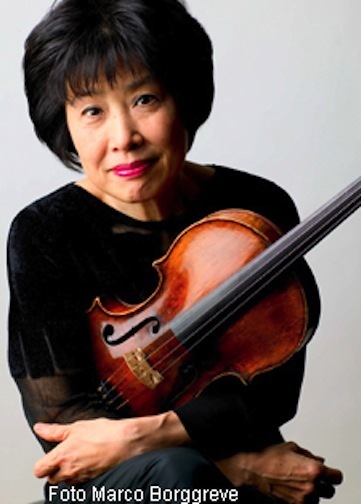 FACULTY CONCERT — 8 p.m. 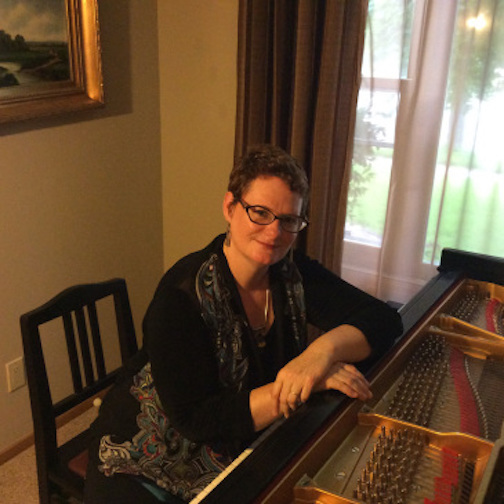 Performed on a Steinbuhler DS 5.5™ (“7/8”) Size Piano; Tentative program includes: Thee Piano Pieces, D. 946, by Franz Schubert (played by Alfred Brendel in a YouTube video at the bottom); Ballad, Op. 6, by Amy Beach; Concert sans Orchestre in f minor, Op. 14, by Robert Schumann. “The hands of great pianists come in all shapes and sizes. Spending literally thousands of hours at the piano, we develop time-tested, proven strategies for learning repertoire in a way that suits our unique physiology. We know best that which we have experienced within our own bodies. “How does this impact our ability to work with students with different hand sizes than our own? 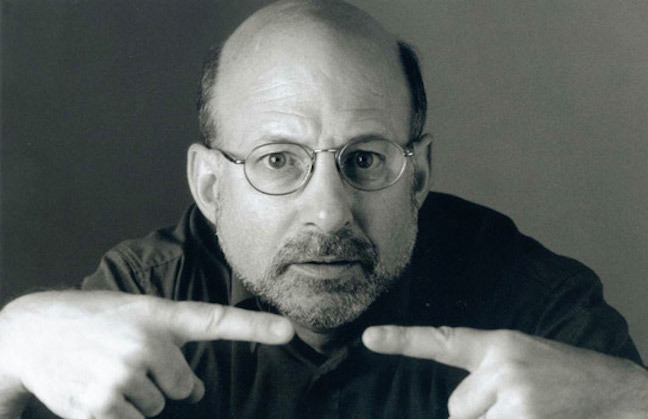 “As a small-handed pianist, I have spent my entire professional career seeking creative strategies to adapt to playing conventional-sized piano keyboards. 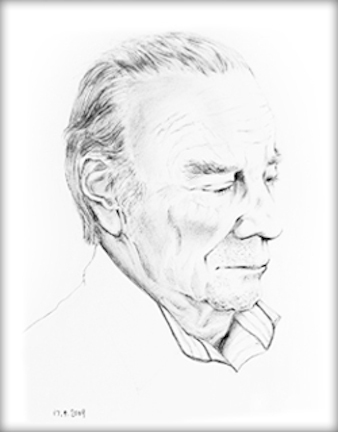 “I have become a guru of innovative fingerings and have learned how to employ ergonomic movements and compensatory gestures in order to perform technically challenging repertoire on the conventional piano. 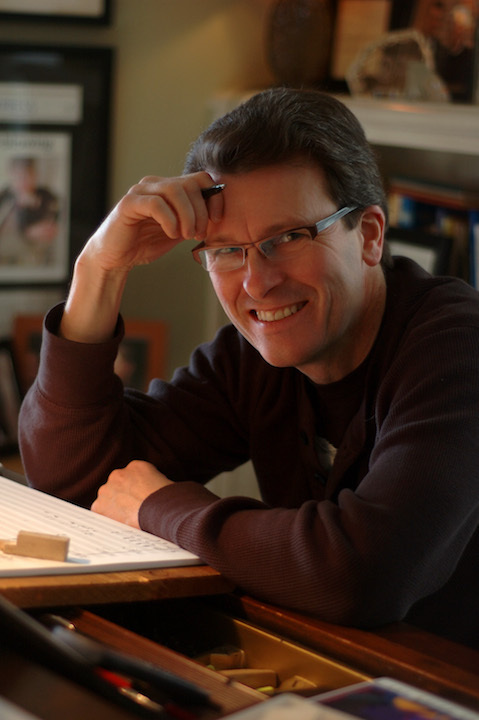 “Since the life-changing moment when I started practicing on an alternatively sized keyboard, I have experienced a whole new level of artistic and technical freedom. “Research related to the use of Ergonomically-Scaled Piano Keyboards (ESPKs) suggests similar benefits for small-handed pianists, including less pain and injury, greater technical facility and accuracy, and ease of learning. 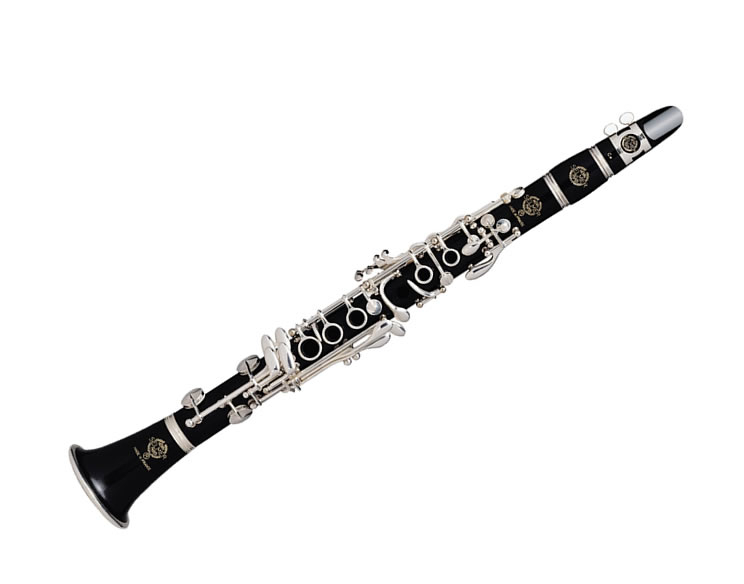 The University of Wisconsin-Madison clarinet studio will host a Clarinet Day on Saturday, Feb. 20, starting at 1:30 p.m. and running to 6 p.m. in Mills Hall at the School of Music. 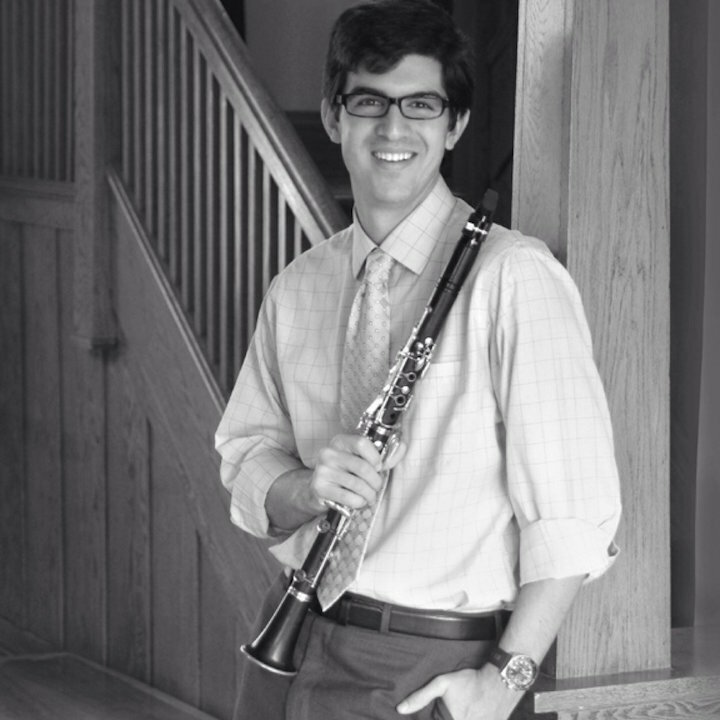 Wesley Warnhoff (below), visiting assistant professor of clarinet, and the UW-Madison Clarinet studio have invited all high school clarinetists to attend. The day includes concerts, master classes, chamber music, student performances and dinner with the UW-Madison clarinetists. It must be a popular idea because registration is now CLOSED. 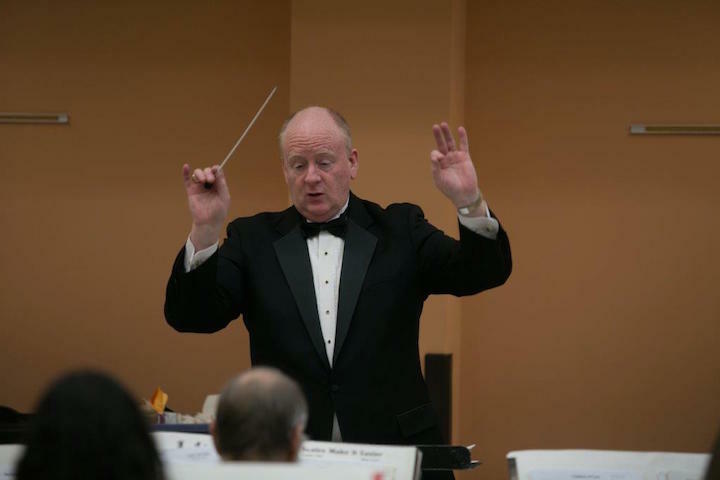 But at 7:30 P.M. the group will end the day by attending a FREE concert – which is OPEN TO THE PUBLIC — by the UW Wind Ensemble (below top), conducted by Professor Scott Teeple (below bottom). The program includes: “Spin Cycle” by Scott Lindroth; “Colonial Song” by Percy Grainger/Rogers; “Heavy Weather” by Jess Turner, featuring Tom Curry, adjunct professor of tuba; the Symphonies of Wind Instruments by Igor Stravinsky; and “Apollo Unleashed” by Frank Ticheli. 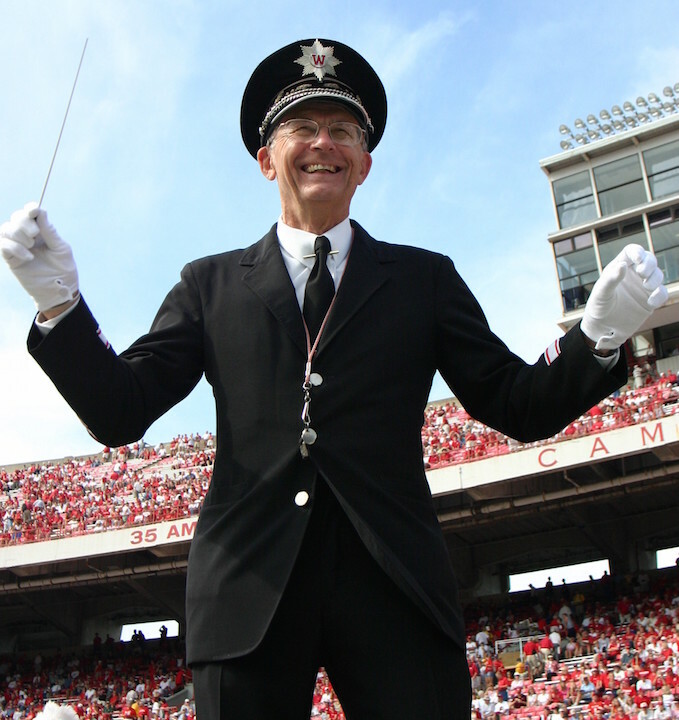 The UW-Madison Concert Band will give two FREE concerts in Mills Hall at 2 p.m. and 7 p.m. under band director Mike Leckrone (below), best known for leading the acclaimed UW Marching Band. Sorry, no word about program. Classical music: Even as the school year winds down, there are several noteworthy events and concerts at the University of Wisconsin-Madison School of Music this weekend. Even as the school year winds down, there are several noteworthy events and concerts at the University of Wisconsin this weekend. 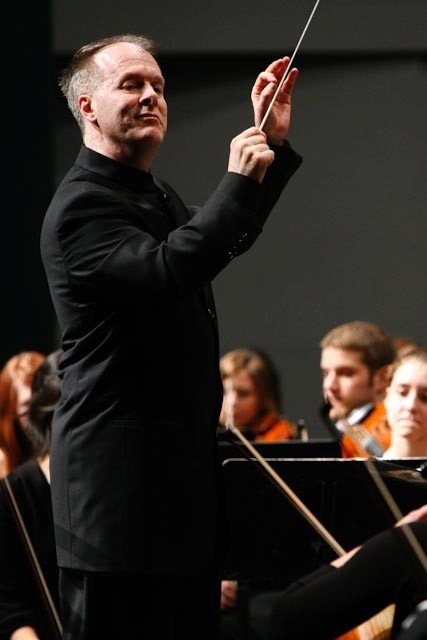 At 7:30 p.m. in Mills Hall, the UW Wind Ensemble will perform a FREE concert under director Scott Teeple. 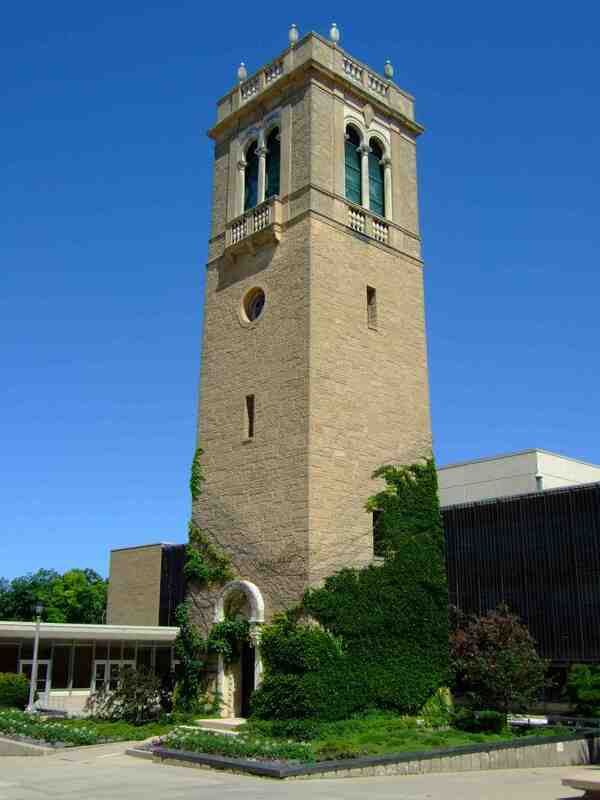 The Wind Ensemble is the premier wind/percussion ensemble in the UW-Madison School of Music. 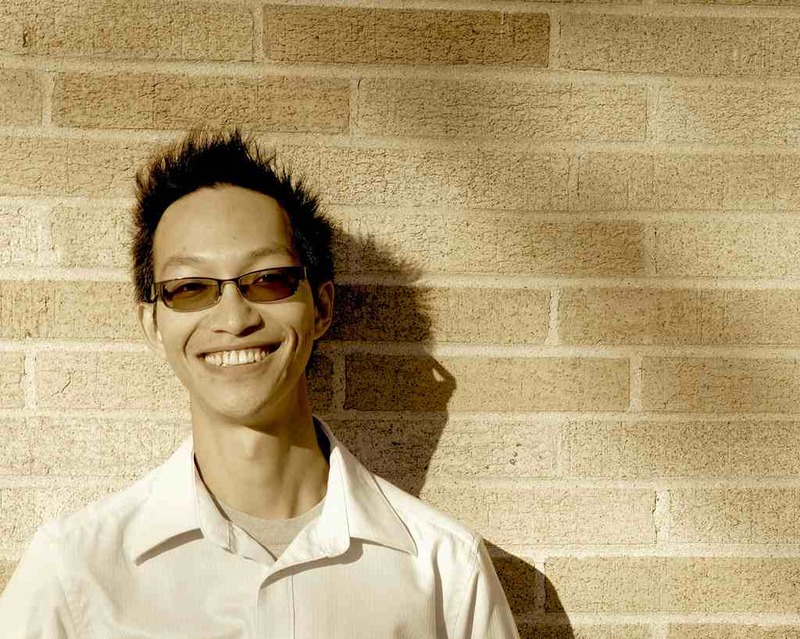 Repertoire varies from classical wind compositions to contemporary works. 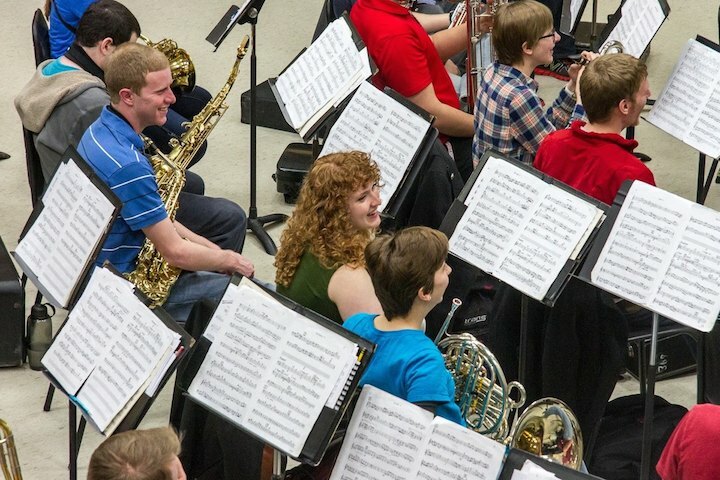 The Wind Ensemble actively commissions new works from world-renowned composers, often performing with internationally acclaimed soloists and guest conductors. 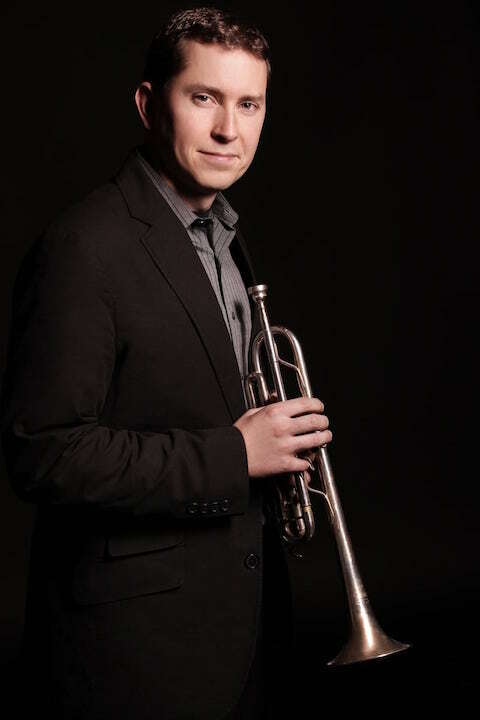 Jacob Klingbeil will assist as graduate student guest conductor. 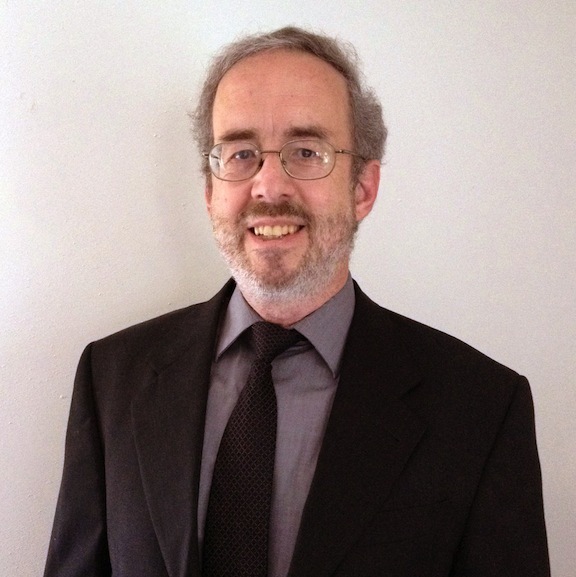 At 1:30 p.m. in Morphy Recital Hall, a FREE Doctoral Recital: Russian Literature and the Music Salon. It is a multimedia concert with narration. This doctoral project, organized by pianist Oxana Khramova, involves several students and faculty members from various departments. 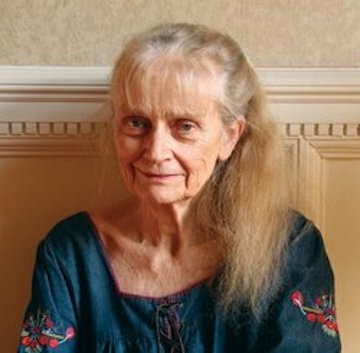 It will be devoted to writers and composers who were connected to St. Petersburg in their lives and works: Nikolai V. Gogol, Anna A. Akhmatova, Joseph A. Brodsky, Sergei Prokofiev and Alfred Schnittke. Listeners will experience their masterpieces through the prism of Russian music, language and visual images. By attempting to combine literature, music and art. 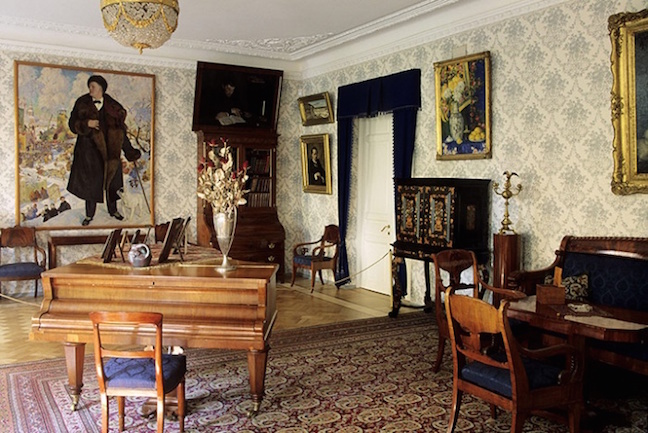 participants hope to recreate the atmosphere of St. Petersburg’s culture (as recreated in the museum photo below). 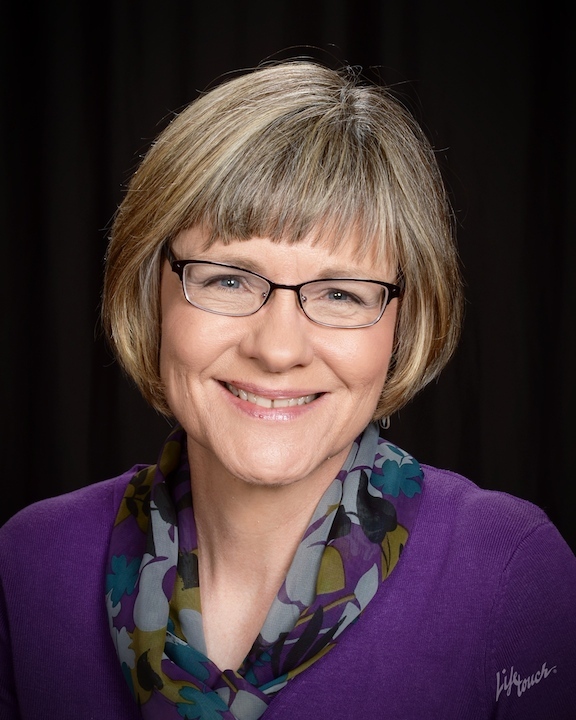 At 4 p.m., in Mills Hall, the All-University String Orchestra will give a FREE concert under the baton of director Janet Jensen (below, in a photo by Katrin Talbot). Sorry, no word on the program. 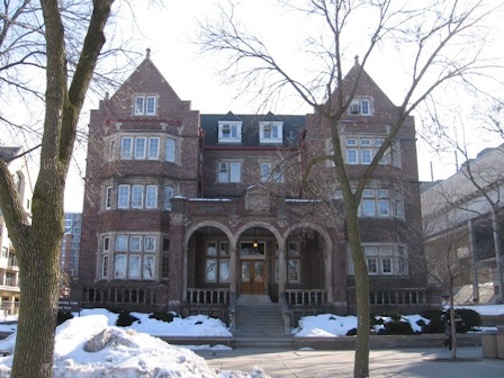 From 4 to 6 p.m. the Wingra Woodwind Quintet will hold its 50th Anniversary Party at the University Club (below), 803 State St., next to the Humanities Building. 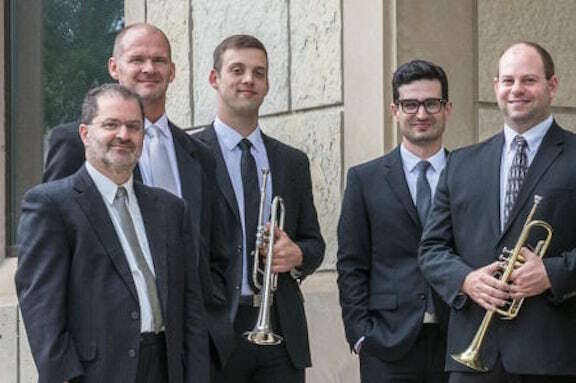 Embodying the Wisconsin Idea and serving as role models to our students, the Wingra Quintet has a rich tradition and will honor current and former members. A short program of 20 minutes is planned and then we will celebrate with hors d’oeuvres and beverages catered by the University Club. Everyone is invited to enjoy the food, music, and good company of current and former members of the Wingra Quintet. 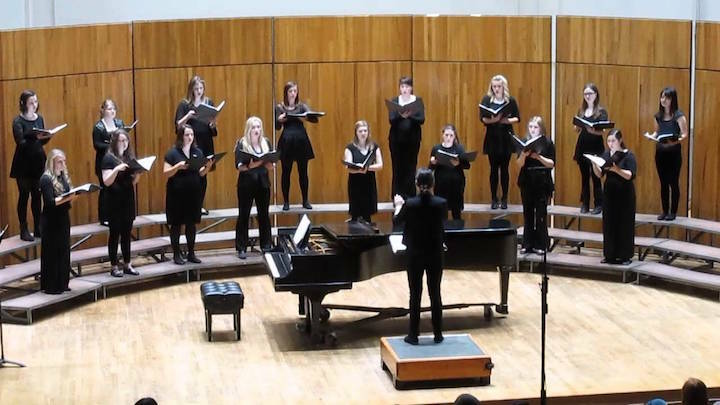 At 1 p.m. in Mills Hall, the UW Women’s Chorus (below) and University Chorus will give a FREE concert. 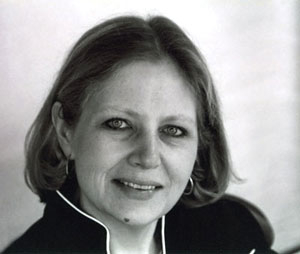 Anna Volodarskaya and Sarah Guttenberg will conduct. No program has been announced. 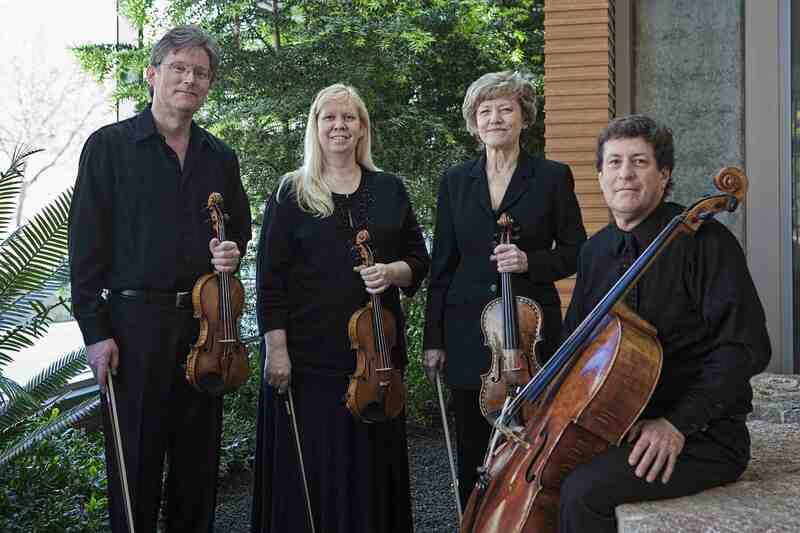 Classical music: The Oakwood Chamber Players conclude their season by performing Australian and New Zealand music this Saturday night and Sunday afternoon. 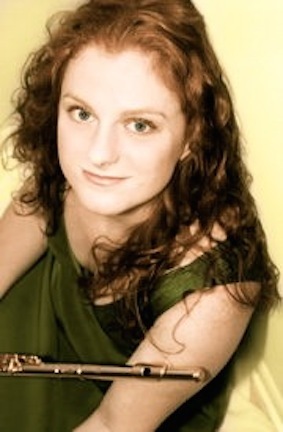 On Saturday afternoon, the Arbor Ensemble performs a benefit concert of works by English composers. 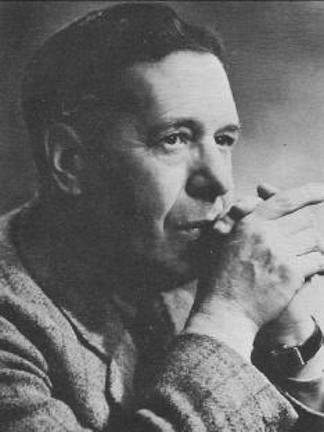 The Anglophile recital program will include works by Ralph Vaughan Williams, Rebecca Clarke, Ian Clarke and Sir Arthur Bliss. Tea and scones will be served following the performance. Reservations are strongly encouraged to guarantee your place. PLEASE NOTE: Reserved tickets not claimed 10 minutes prior to the recital will be released to the public. Visit the lick below and click the “tickets link” to make your reservation today. If you are interested in donating an item to the silent auction, please contact Arbor Ensemble! Tickets are $10 for general admission, $5 for students. All ages are welcome. 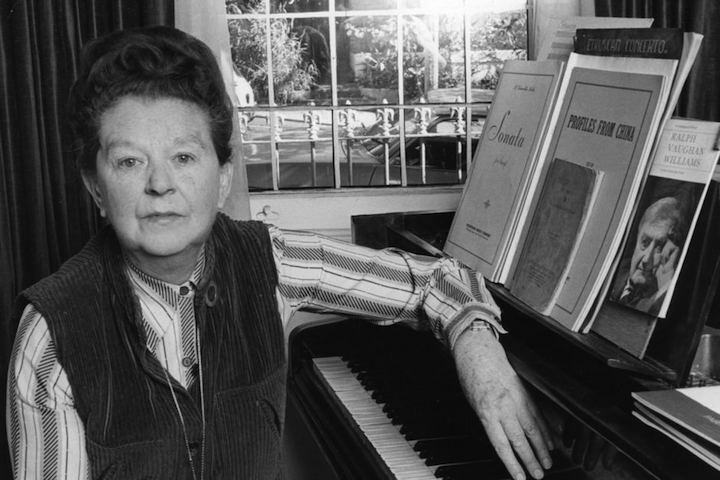 Talk about performing rarely heard repertory — even in the same English-speaking world! Plus, add in some unknown women composers, and you have the makings of a memorable event. 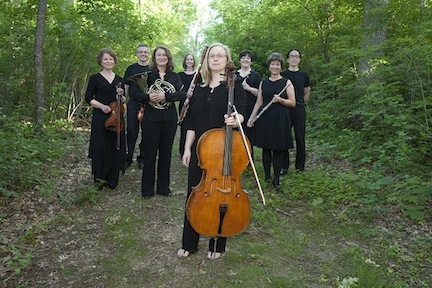 This Saturday night and Sunday afternoon the Oakwood Chamber Players (below) will perform “Down Under,” its final concert in the season exploring music by composers from various regions around the world, featuring a program of music by Australian and New Zealand composers. 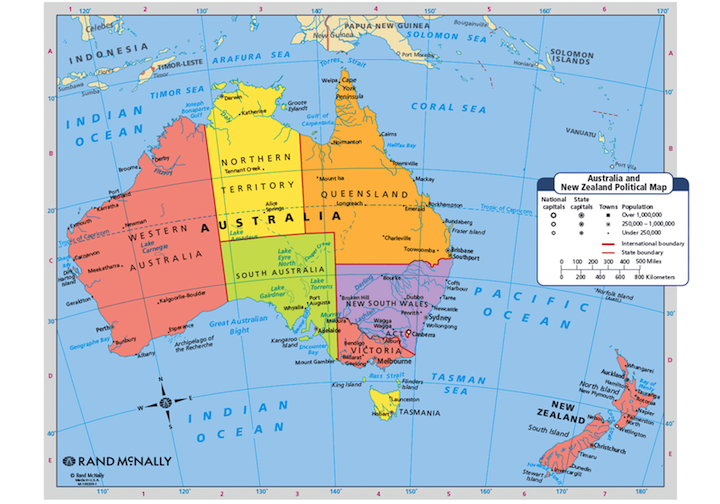 The Oakwood Chamber Players will present the program “Down Under” on Saturday, May 17 at 7 p.m. and on Sunday, May 18, at 1 p.m., in the Oakwood Village Center for Arts and Education, 6205 Mineral Point Road, 6205 Mineral Point Road, on Madison’s far west side. Tickets are available at the door. Admission is $20 for the general public, $15 for seniors and $5 for students. 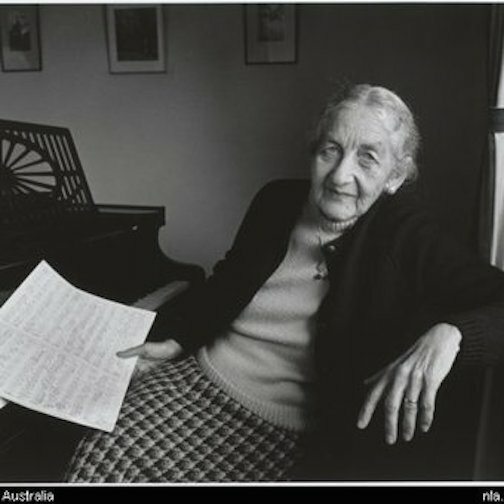 Australian compositions to be performed include a string quartet (at bottom in a YouTube video performed by the Australian String Quartet) by Miriam Hyde (below top), written in the 20th century pastoral style, as well as “Concertina di Camera” for winds and piano by Peggy Glanville-Hicks (below bottom), who was a student of Ralph Vaughan Williams. 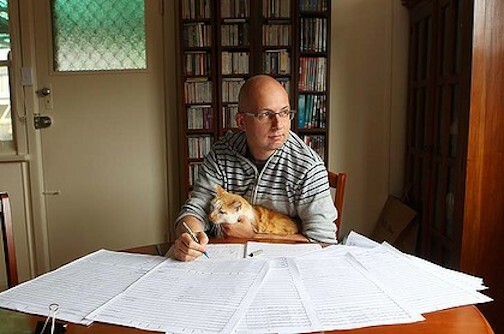 Two centuries of New Zealand compositions will be represented by Keith Statham’s melodic “Lansdown Gardens” and “Flora” for flute, clarinet and piano, by Keith Statham (below top) as well “Morningstar II” for mixed winds and strings by 21st century composer Paul Stanhope (below bottom, in a photo by Jacky Ghossein). The lively and familiar “Jamaican Rumba” buy Australian Arthur Benjamin (below) will round out the programming. 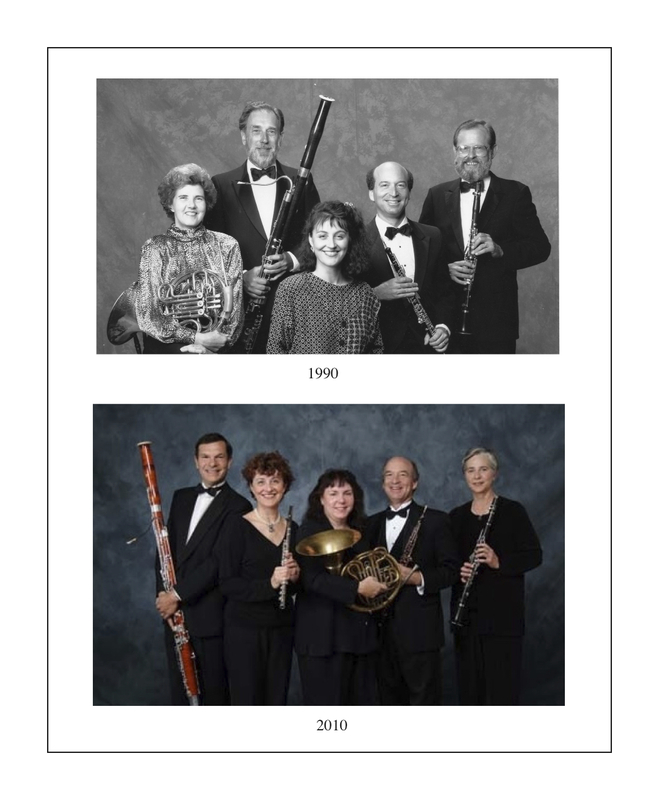 The Oakwood Chamber Players is a group of Madison-area professional musicians who have rehearsed and performed at Oakwood Village for 30 years. 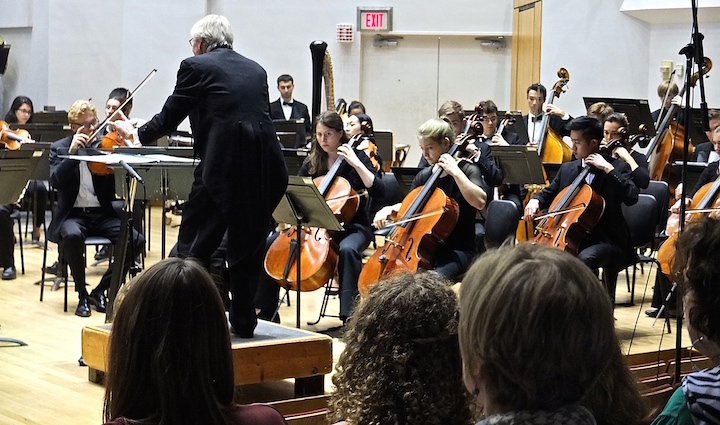 Many have affiliations with and perform with well-known groups such as the Madison Symphony Orchestra, the Wisconsin Chamber Orchestra, the Madison Opera and the University of Wisconsin-Madison School of Music. 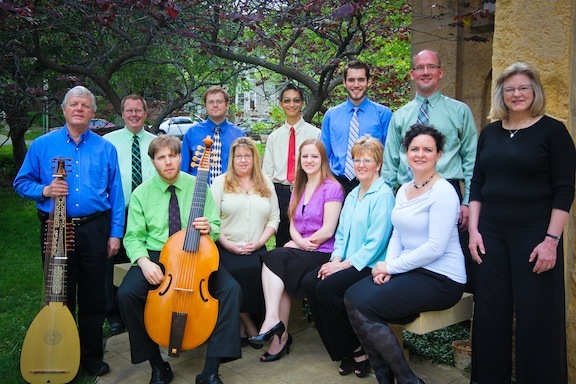 The Oakwood Chamber Players are a professional music ensemble proudly supported by Oakwood Lutheran Senior Ministries and the Oakwood Foundation, in collaboration with Friends of the Arboretum, Inc. Classical music: This weekend brings concerts of wind music; old and new music for Baroque flute; and early songs about money and poverty. This weekend brings us three big events: two performances by the Madison Opera of Jake Heggie’s opera “Dead Man Walking” (Friday night at 8 p.m. and Sunday afternoon at 2:30 p.m.); a one-time performance of Sergei Rachmaninoff’s rarely heard a cappella “Vespers” by the University of Wisconsin-Madison Choral Union on Saturday night at 8 p.m.; and pianist Ryan McCullough in Ludwig Beethoven’s last three piano sonatas at Farley’s House of Pianos on Saturday night at 8 p.m. But there are smaller concerts for you to consider too, some of which do not conflict with the others. 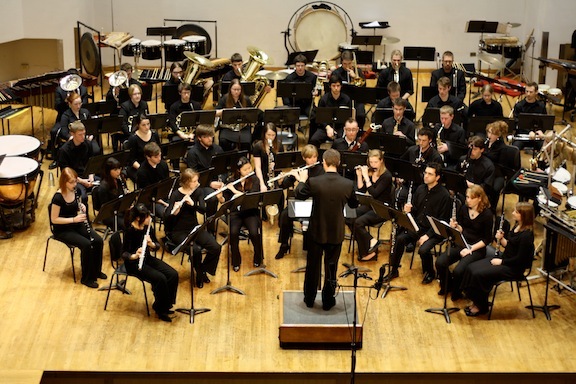 Tonight, Friday night, at 7:30 p.m. in Mills Hall, the UW Wind Ensemble (below, in a photo by Katherine Esposito), under director and conductor Scott Teeple, will perform a FREE concert. 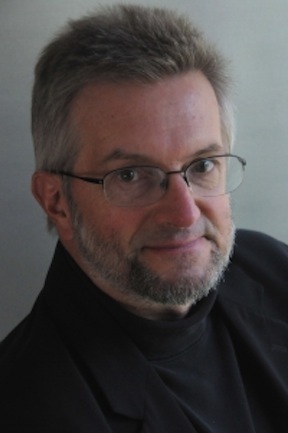 ”Symphony in Three Movements” by retiring UW tubist and composer John Stevens (below). 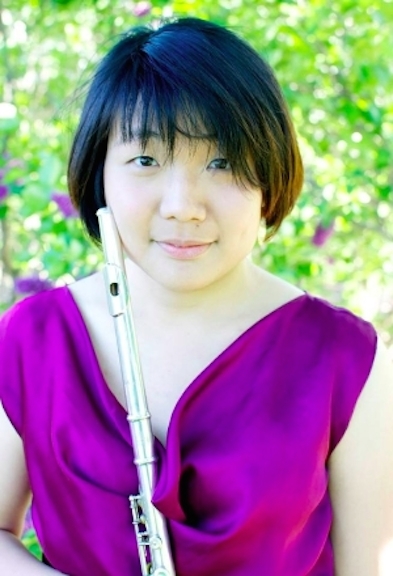 On Saturday from noon to 1 p.m., the FREE concert series Grace Presents will present “New and Historic Music for Baroque Flute” with flutist Millie Chang (below) and others. 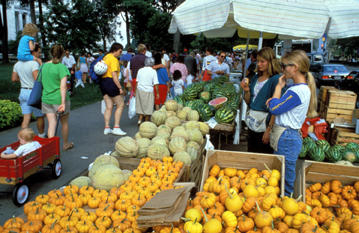 The concert is designed to be a refreshing break, a parenthesis in time and task, from the Dane County Farmers’ Market, which has started up again. Audiences are invited to bring lunch or food. 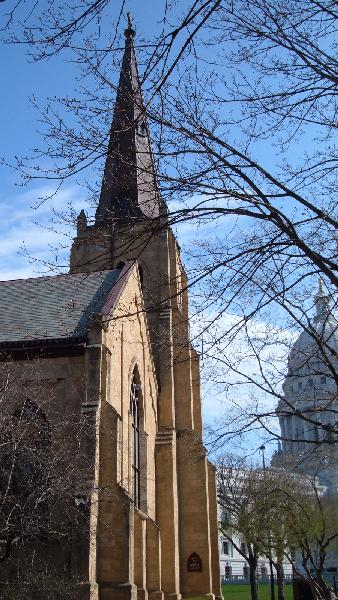 The venue is the lovely and acoustically resonant Grace Episcopal Church (below are exterior and interior views), at 116 West Washington Avenue, down on the Capitol Square. 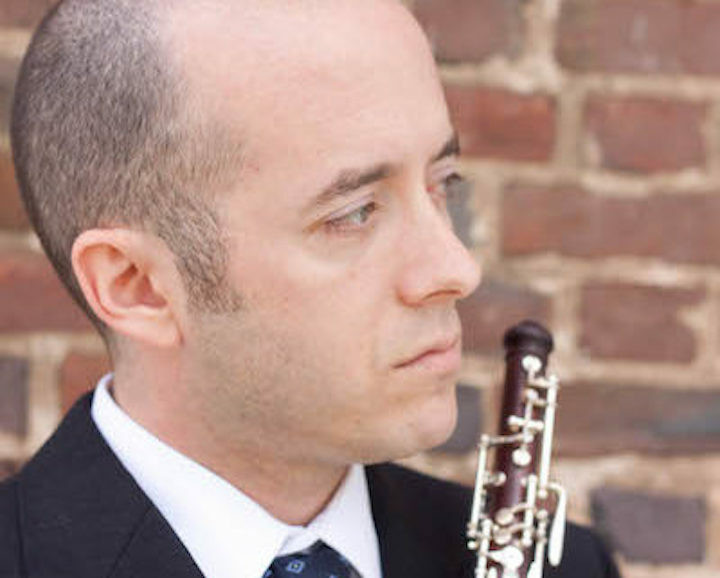 Some of Madison’s most talented classical instrumentalists will perform the short but unique recital for baroque flute featuring compositions spanning three centuries. Performers include Millie (Mi-Li) Chang and Danielle Breisach (below top), Baroque flute; UW-Madison professor Stephanie Jutt, modern flute; UW-Madison professor John Chappell Stowe, harpsichord; and Eric Miller (below bottom), viola da gamba. 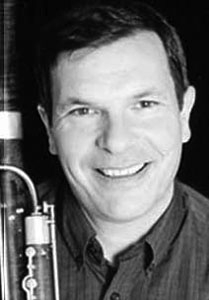 Here is the specific program: David MacBride: “Shadow” for two baroque flutes (1993); Robert Strizich: “Tombeau” for baroque flute and harpsichord (1982); François Couperin, “Concert Royal” No. 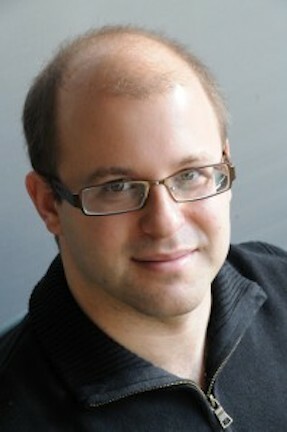 2 in D major (1722), which can be heard in a YouTube video at the bottom; University of Wisconsin-Madison School of Music composer Stephen Dembski (below top), “Gits and Piths” for modern and baroque flutes (2014); UW-Madison bassoonist, conductor and composer Marc Vallon (below bottom), “Ami” (2014); and Johann Sebastian Bach: Sonata in B minor for baroque flute and harpsichord, BWV 1030 (1736-37). 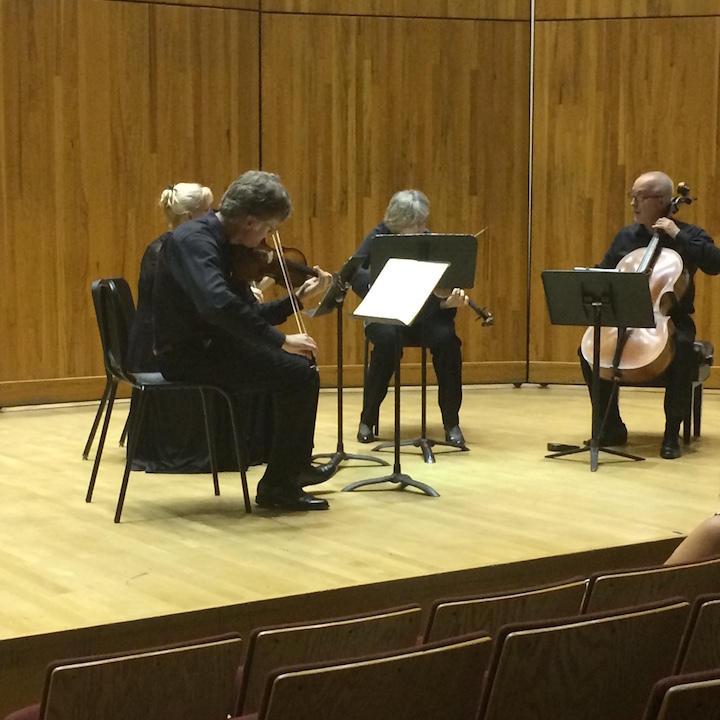 The fourth concert of the Kat Trio Chamber Music Series features the Veldor Woodwind Quintet. The concert will take place in Memorial United Church of Christ, 5705 Lacy Road, Fitchburg on Saturday night, April 26, 2014 at 7 p.m. There will be 30-minute Q&A session before the performance. Suggested donation: $10 adults and $5 students. 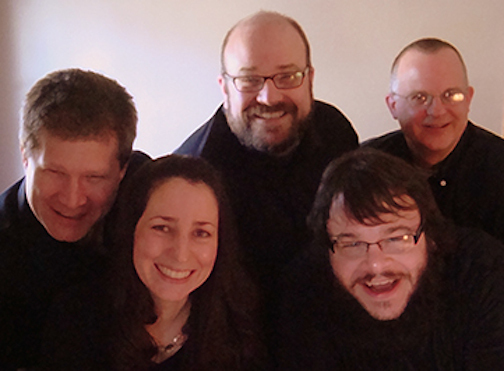 Member of the Veldor Woodwind Quintet (below) are: Barbara Paziouros Roberts (flute), Andy Olson (oboe), Joe Kania (clarinet), Brad Sinner (horn), and Brian Ellingboe (bassoon). 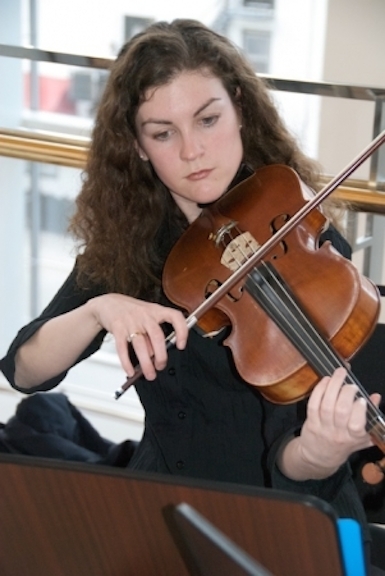 They combine educational backgrounds in music performance from the Eastman School of Music, DePaul University, Lawrence University, Luther College, and the University of Wisconsin-Madison School of Music with many years of performing experience both locally and abroad. Now in their fifth year, the Veldor continues to entertain audiences with its dynamic performances of standard and non-traditional repertoire alike. Classical music: The Oakwood Chamber Players will give two performances this weekend of “Celebration” – a program that mixes holiday-themed music with stories and poems. Plus, Naxos Records releases its FREE Advent app for iOS and Android platforms to bring you music from December 1 to Christmas Day. NEWS: A good friend of this blog who works at Naxos Records writes: “Monday marked the release of our Advent Calendar app for iOS and Android platforms. The app is FREE and will supply you with 1 complete musical track for each day of Advent starting on this Sunday, December 1, up to Christmas Day. 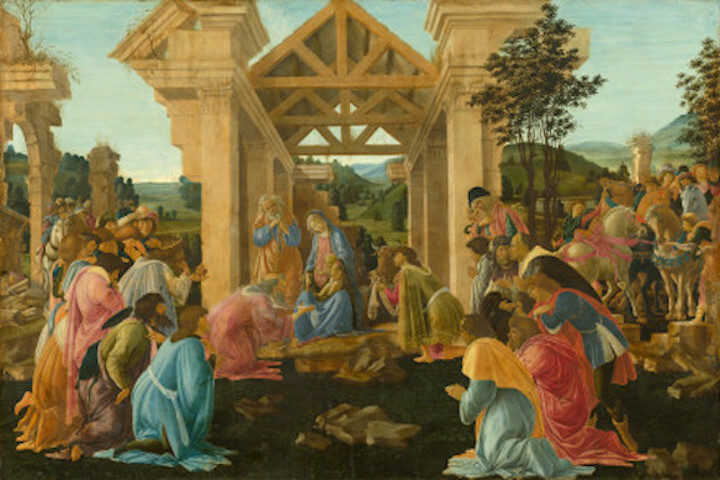 The Naxos Advent Calendar App can be downloaded to any iPhone, iPad, or Android device. Go to iTunes or Google Play. This coming Friday afternoon and Sunday afternoon, the Oakwood Chamber Players (below) will weave together heart-warming folk tales from around the world along with a feast of holiday music. The concert will feature musical performances from the familiar to folk, from classical to jazz, and from duos to nonets. The family-friendly stories, interspersed throughout the concert, drawn from the wealth of global storytelling, are both cheering and poignant, expressing the cultures from which they are drawn. 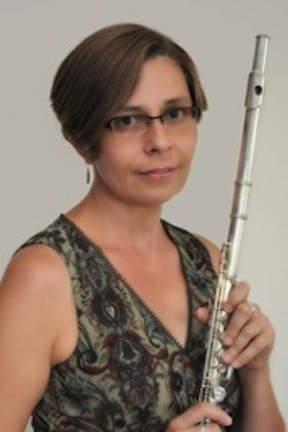 Guest artists flutist Elizabeth Marshall(below) and oboist Jennifer Morgan (below bottom) will join the core musicians of the ensemble for the concerts. There is holiday-related music covering quite a range from popular to traditional to folk in a variety of genres from trios to nonets. The music will be interspersed with stories and poems. 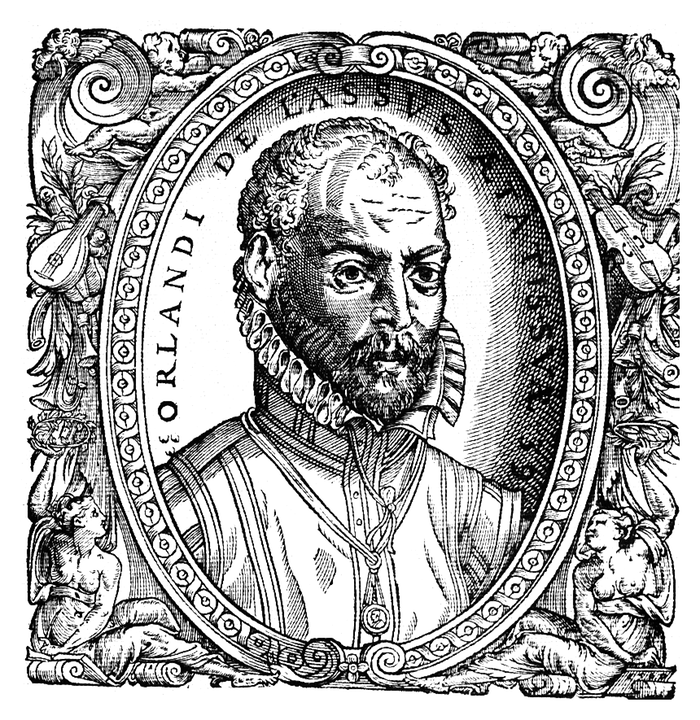 The program includes: the Motet from “Cantate Domino” by Orlando di Lasso (below top); Six Christmas Pieces, Op. 72 by Felix Mendelssohn; “Christmas Time is Here” by Vince Guaraldi with Vince’s jazz interpretation; “Shepherd’s Hey” by Percy Grainger (below bottom); and “Troika” by Sergei Prokofiev. In keeping with the ensemble’s global theme for the year, some sets are grouped by geographic region. 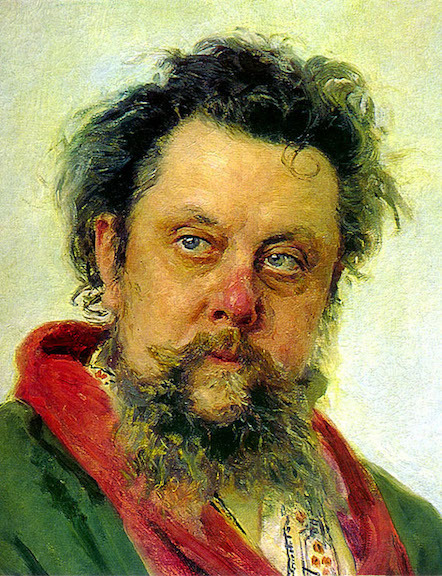 For example, “Where Are You, Little Star” by Modeste Mussorgsky (below); the Slovak folk music of “Pastorela” as arranged by Tomacek; and Trepak” (at bottom in a popular YouTube video) from the ballet suite for “The Nutcracker” by Piotr Tchaikovsky; and also “Dormi, Dormi, O Bel Bambino,” a traditional Italian song; and “A La Nanita Nana” and “Riu Riu Chiu,” both traditional Spanish music. 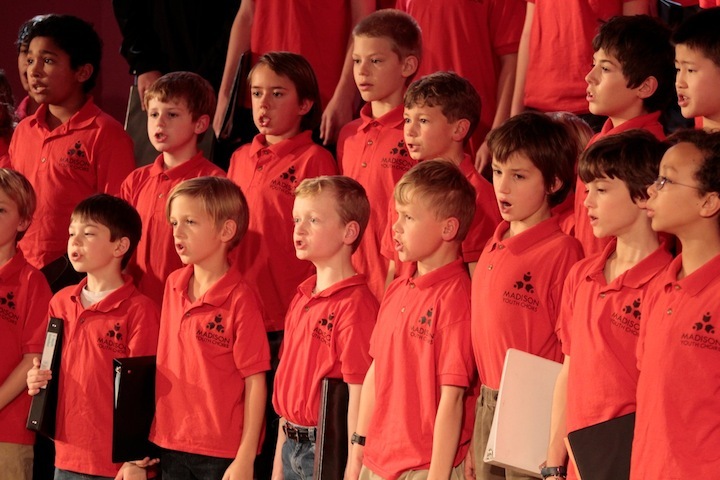 Classical music: The Wisconsin Chamber Choir celebrates the centennial of British composer Benjamin Britten this Saturday night, June 1, at 7:30 p.m.
Special guest performers are the Britten Choir (below, in a photo by Karen Holland) of the Madison Youth Choirs, conducted by Randal Swiggum. 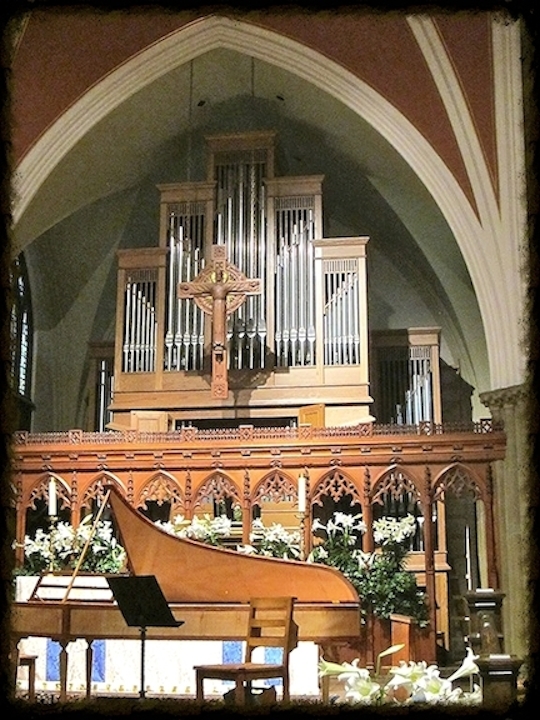 The concert is this Saturday night, June 1, at 7:30 p.m. in St. Stephen’s Lutheran Church, 5700 Pheasant Hill Road, in Monona, Wisconsin. Tickets are $15 for adults and $10 for students. They are available via Brown Paper Tickets or www.wisconsinchamberchoir.org or at the door. 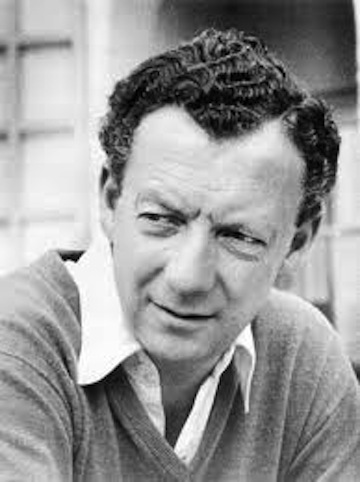 Benjamin Britten (below, 1913-1976) was perhaps the greatest choral composer of the 20th century. In celebration of Britten’s 100th anniversary this year, the Wisconsin Chamber Choir has assembled a delightful program featuring Britten’s quirky cantata, “Rejoice in the Lamb,” along with his rapturously beautiful “Five Flower Songs” (at bottom in a YouTube video). 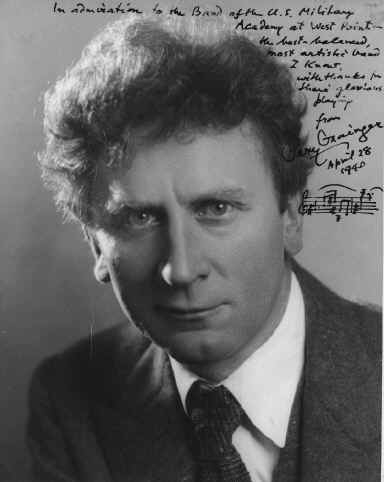 Complimenting Britten’s works are pieces by his “friends” (both figuratively and literally), including music by Arvo Pärt, Henry Purcell, Percy Grainger and Frank Bridge, who taught Britten. 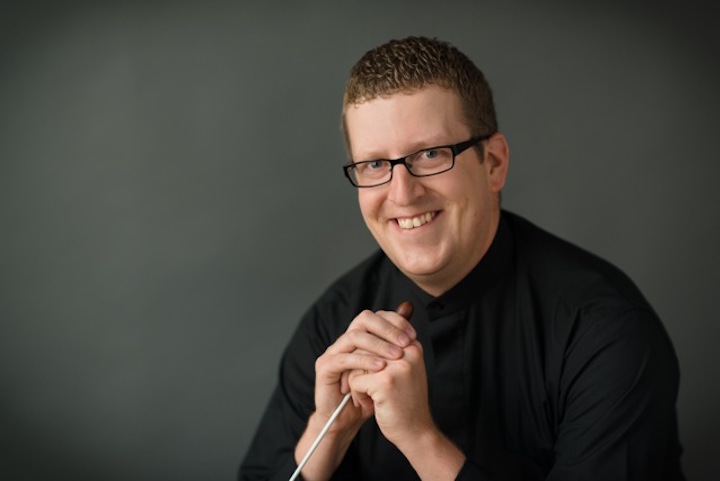 The Britten Choir of Madison Youth Choirs, conducted by Randal Swiggum (below), will make a special appearance performing music by Britten and others. 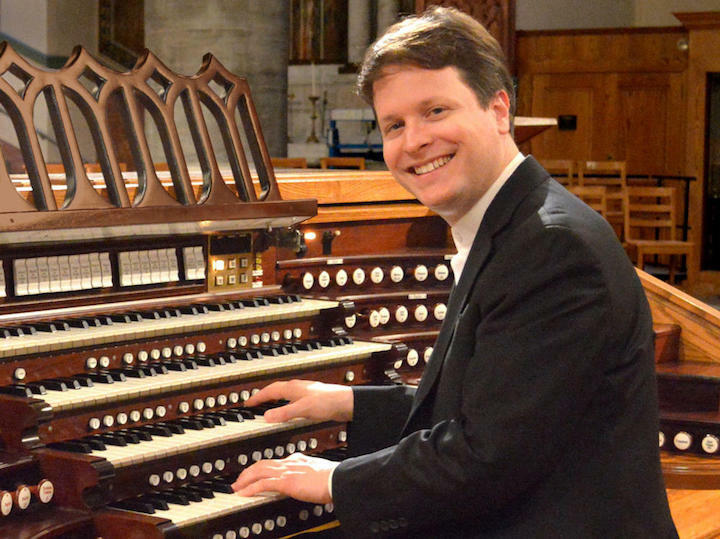 Organist and pianist Mark Brampton Smith (below) joins the WCC performing the virtuoso keyboard parts in Britten’s Rejoice in the Lamb and in several of Percy Grainger’s boisterous folksong arrangements. Founded in 1999, the Madison-based Wisconsin Chamber Choir has established a reputation for excellence in the performance of oratorios from the Baroque and Classical eras, a cappella masterworks from various centuries, and world premieres. 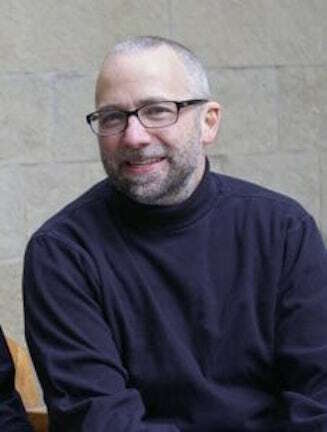 Robert Gehrenbeck (below), the director of choral activities at the University of Wisconsin-Whitewater, is the WCC’s Artistic Director.